If you are looking for an apartment in the Innsbruck area, then there are a few things to keep in mind. First you need to know that there are no gated communities or big, managed apartment complexes that have their own rental offices. Also, fully furnished apartments are hard to find. 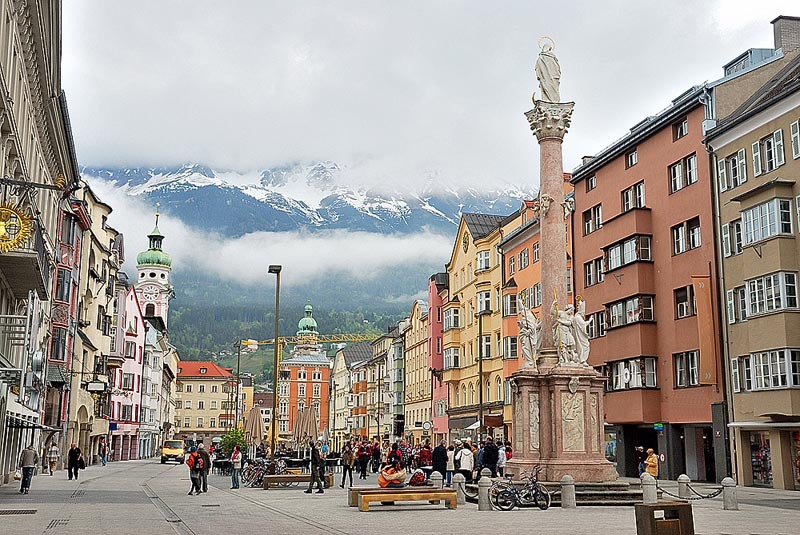 The second thing is that due to Innsbruck being the provincial capital and a student town, there are lots of people moving here, meaning the demand for housing is very high. And the last thing is that the rental market is mostly in the hands of real estate agents. Leases are typically for 3 – 4 years, with the first possibility for a cancellation by the tenant after 1 year plus 3 months cancellation period. Most owners are not willing to sign a lease for a shorter period. During the cancellation period (the last 3 months), the owners typically show the apartment to potential future tenants. As the owners try to have a seamless switch from one tenant to the next, apartments are usually advertised as being available within these last 3 months. Therefore searching for an apartment more than 3 months out will have limited success. If you find something you like, you should move fast, as other people are probably already lining up to check out the place. If you are looking for a furnished apartment, please note that even if the pictures on apartment search websites show apartments with furniture, the furnishings are usually not included. Read the description in order to find out the details. Sometimes “furnished” just means that the kitchen and bathroom are built in. Also, wardrobes and closets are not generally built in, so you have to bring your own. There are quite a few holiday apartments out there (those are fully furnished) but finding something that is available for a few months will be difficult, as these apartments tend to be booked for a few weeks here and there, making it difficult to find a stretch of time that is open. Most likely times are OUTSIDE of the tourist seasons for skiing in the winter, hiking in the summer, and all school holiday breaks (Easter, summer, Christmas, semester break). We at Relocation Services Strohmayer look forward to supporting you with our expertise and knowledge of the area and market. And we look forward to welcoming you to Innsbruck.